Helena Tenorio, Brazilian, Economist, graduated at Federal University of Rio de Janeiro with master’s degree in Monetary Economics and specialization in Economic Development at Havard Kennedy School. 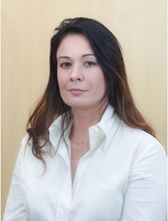 Executive at Brazilian Development Bank – BNDES for 20 years, for 4 years she was responsible for the department in charge of the Pre-Analysis of financing support (almost 900 per year) and the applied methodology for Credit Assessment (MAE), which is pioneer in the incorporation of intangibles assets and intellectual capital references. In March 2018, she assumed the Area of C​ommunication and Institutional Relationship of BNDES. In this area she is responsible for the implementation of communication, marketing and institutional relationship strategies. With regard to communication, the Deputy Director coordinates internal and external actions (press, digital media and publishing). As for marketing, she carries out initiatives of sponsorship, publicity, promotion of events and customer service. Regarding the institutional relationship, she aims to establish strategic partnerships and deepen the relationship with control agencies and public sector institutions. Member of important governmental committees related to R&D National Policies and board member of New Club of Paris, an international organization whose main objective is to create awareness about Knowledge Economy. Professional expertise: Development Financing, R&D Design Policies, Intangibles Evaluation, Strategic Planning and Relational Capabilities on value creation. University / academic affiliation: She graduated at Federal University of Rio de Janeiro with master’s degree in Monetary Economics and specialization in Economic Development at Harvard Kennedy School. This entry was posted in board on 06.05.2018 by admin2.